One of the most educational toys available also happens to be one of the most inviting! The skills children learn from LEGOs are important and incredible! 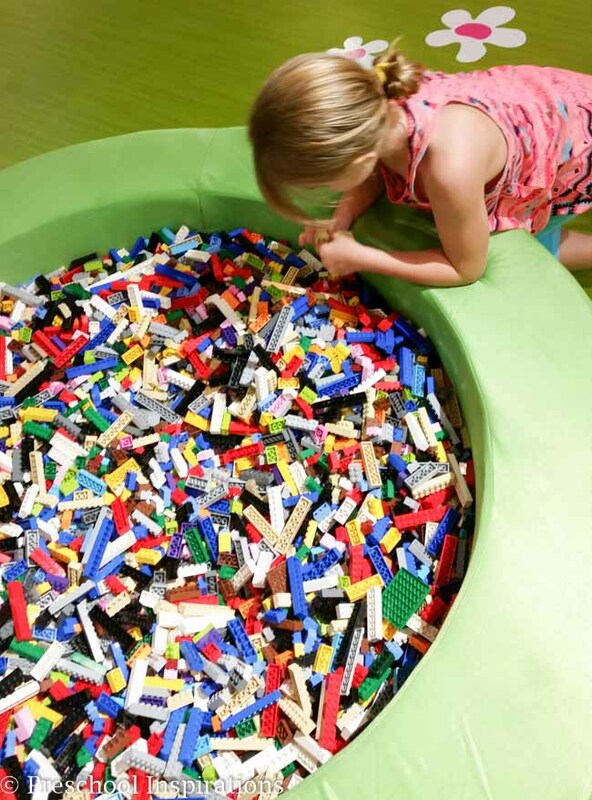 If you never really thought of them as super educational, you will soon see the benefits to letting children play with LEGOs. Using LEGO bricks is the perfect opportunity for building fine motor skills! LEGO bricks are a great manipulative to work the fingers as children build and even pick up LEGO pieces. Children love the thrill of building and they can do this for hours, building up strong little muscles in their hands that will help them do other skills, such as learn to write. It’s so easy for LEGO building to turn to a time of imaginary bliss with adventures, heros, villians, animals, and even family members. 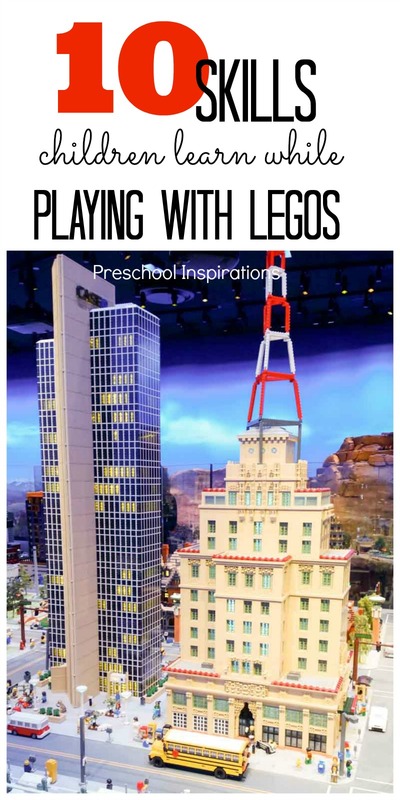 Using LEGO minifigures and bricks with other peers gives children the same skills they would learn in dramatic play or from using a dollhouse. LEGO creations become a form of storytelling. It’s the little lost horse who is trying to find her stable, and her friends help her along the way. Or a mother is taking care of her son who is headed to school for the day. When my children have finished their amazing work of art, they are beaming to show me their creations. They have made something they are incredibly proud of, which is good for their hands as well as good for their heart! Most of the time they come up with an idea in their heads, then they begin to piece it together. They are so excited for the houses they build for the minifigure families to play in or for the cars that the minifigures will drive around in their LEGO community. As they develop self-confidence, their excitement leads to making items with more and more complex purposes! Building with LEGO bricks sometimes leads to heartbreak. A beautiful tower comes crumbling down with one wrong move. 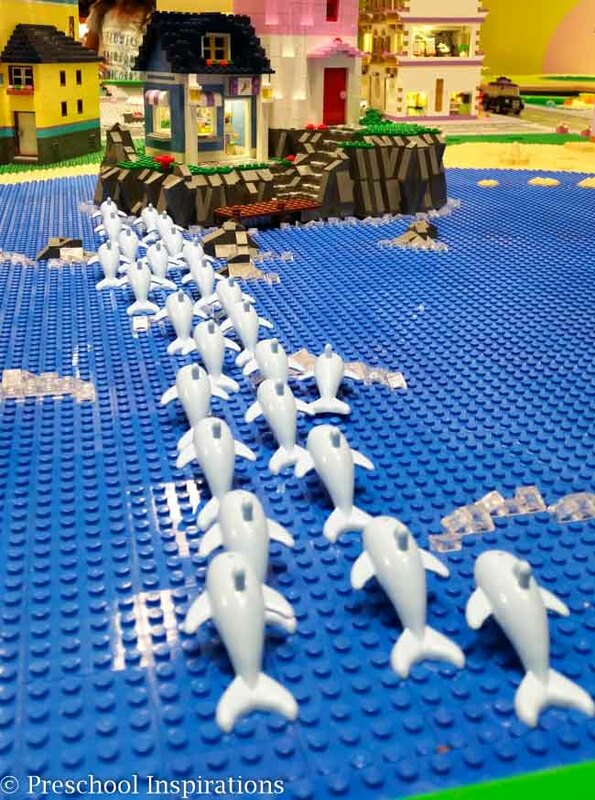 Check out one of our favorite LEGO resources! It doesn’t matter whether a child uses an instruction booklet or builds completely from their own imagination. They are solving a puzzle! When children are picking up little pieces around them to form a building, plane, or creature, they are bringing order out of chaos. A bucket of LEGO bricks becomes a new opportunity! Cause and effect is one of the first science lessons a child learns! It is so fun to watch the thrill that a child has to build a tower as tall as possible. It gets higher and higher, soon over their heads. Then they all hold their breath as the super tall tower falls over. Science is the driving component behind all creations that a child has. The foundation of science is to come up with an idea and to prove it practically. LEGOs do this naturally through imagination. A child simply comes up with an idea then develops it. Put simply, technology is using new techniques to accomplish a task. LEGOs teach children to use basic materials to complete a task. I love this idea to build a LEGO candy dispenser. My husband told me that he was once given the task to make a washing machine out of LEGO bricks! This is a Lighthouse that my daughter loved playing with at Legoland Discovery in Arizona. This is all over LEGOs! Want to build a bridge? Then you must figure out what it takes to stand up. Children quickly learn that a tower made of a single column quickly falls. By creating a stable base, they open up a new world of possibilities! Soon they will have pyramids or maybe even the Eiffel Tower! Every LEGO creation is a form of art. A child’s imagination is the only limit! Children become creators with the hundreds of tiny pieces. They can use wheels, shapes, and even “people” figures to build the ideas in their minds. It can be useful, entertaining, or even therapeutic. 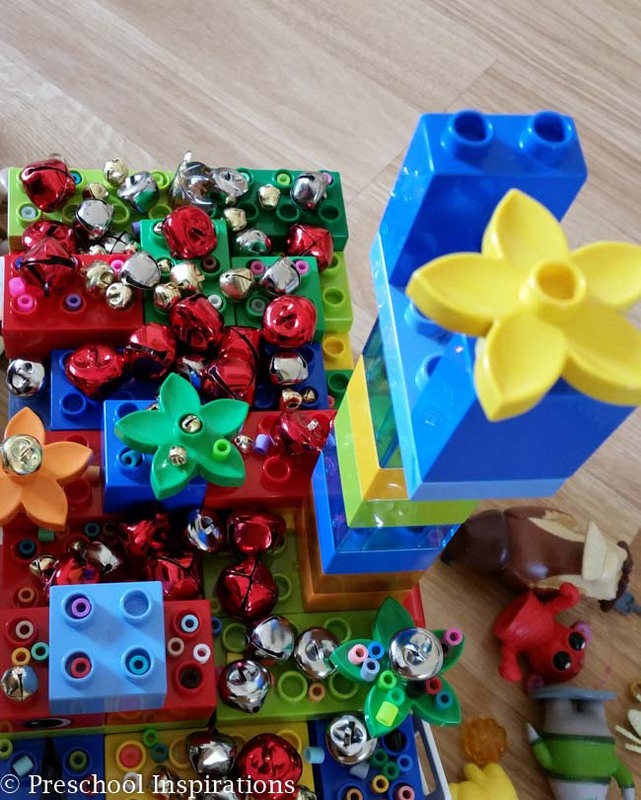 Volume, quantity, one to one correspondence, symmetry, patterns, and more all can show up when a child plays with LEGOs or Duplo’s. 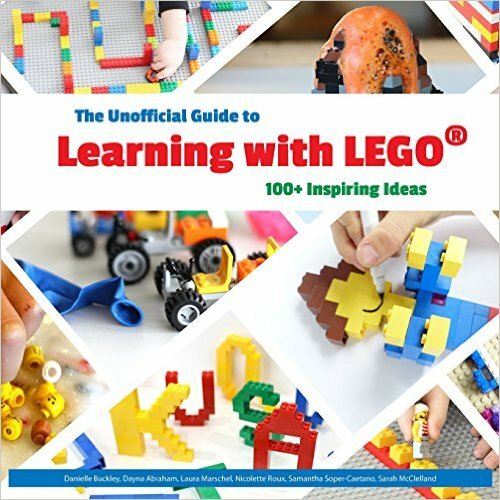 I especially love all of the math ideas in the book, The Unofficial Guide to Learning with LEGO. Let’s not forget addition and subtraction! When you give a child a limited number of Legos to complete their entire project, they learn that each one counts. They begin to understand that each and every brick, minifigure, and piece has a value! Children can even begin the complex task of rationing their supply to complete their masterpiece. The Unofficial Guide to Learning with LEGO helps stretch children’s imaginations and inspires them to create! We can’t wait to make a bubble wand, create a balloon powered car, and to work on learning about ten frames! What is your favorite LEGO accessory or resource? You are too kind, Jill! Reading this made my day :). I’m with you on the old school toys! They are the best and will stand the test of time! My children actually my husband’s old LEGOs, lol. Awww, Danielle! Thank you!! That means the world to me :). Thank you for sharing this! My son loves to play with legos and we can see the wheels turning as he builds and problem solves. 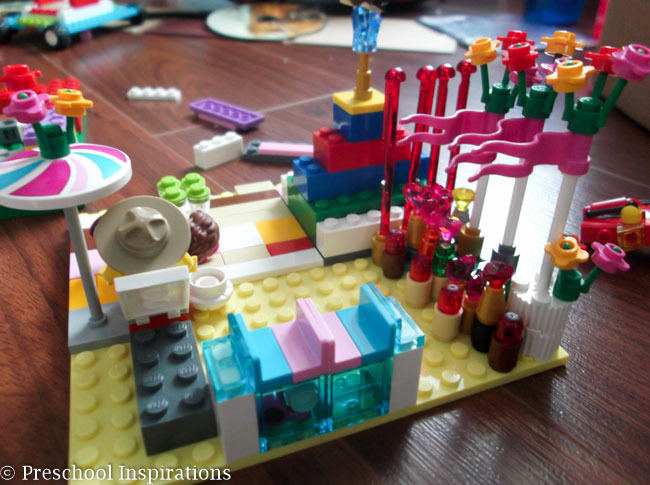 We can’t wait for our Lego Camp at Creative Tots this summer! We are excited to share your thoughts too! LEGO camp sounds amazing!! I hope it goes wonderfully :). These are all so true. When I taught special ed, the OT frequently used Legos to help build fine motor. The best therapeutic activities are ones that kids already enjoy! There’s indeed about lot to learn from LEGO. Thank you! Great job here, I think sometimes in this age we live in we forget just how important play is. So many kids and even preschoolers staring at a screen rather than playing. I have two preschoolers so I realize how important it really is, my youngest loves playing with blocks…like jenga blocks. He could play with them for hours, we love to build towers and knock them over. This is a great article and I look forward to more.